One of the stocks that came up on my screen of international net-nets was Vianini Industria which is a €43m company trading right around cash and investments. But as I dug deeper I was led down a few paths, first to Vianini Lavori which is owned by the same holding company, and then finally to Caltagirone SpA which is the main holding company. The holding company and holdings trade on the Milan exchange. Caltagirone is a fascinating company, they own 66% of Vianini Industria (Water pipes and pilons), 56.5% of Vianini Lavorni (Construction), 31.7% of Cementirholding (Cement producer) and 35.6% of Caltagirone Editore (Newspapers, Advertising, Internet). For each holding it should be noted that the Caltagirone family also owns a significant share. In the case of Vianini Lavorni the free float amounts to 33%, so these companies are closely held. 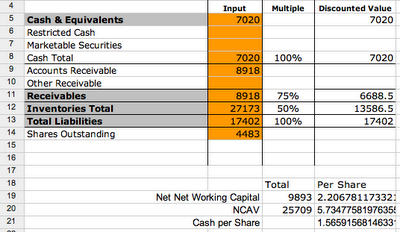 The first thing that strikes me about the holding company is that it's undervalued on a sum of the parts valuation. All of the holdings are publicly traded so we can come up with a valuation easily. The second thing is that the sub holdings appear to be trading at cheap multiples themselves. 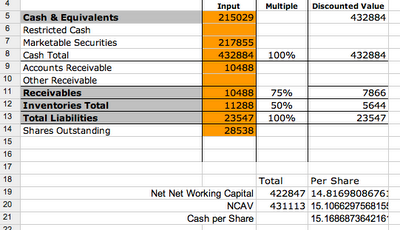 If we take a top level sum we get Caltagirone worth 324m whereas the shares are trading at 75% of the that value. 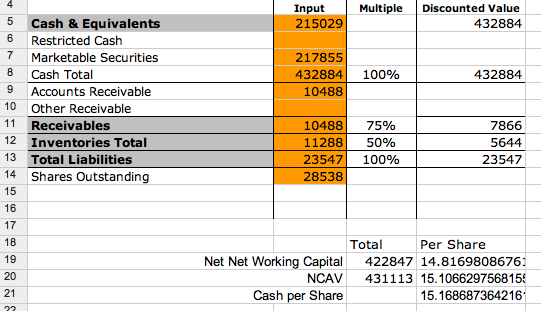 But it gets more interesting, nested deep in the structure is Cimentas which has a public market cap of 839m, if we use this value for Cementirholding we get Caltagirone's ownership stake at 260m instead of 108m bringing the sum of the holdings up to 476m. This means that Caltagirone is trading at 51% of the value of it's publicly traded holdings. What I find fascinating about this is that the pricing discrepancy is so large and transparent. Just some simple math can calculate what the value of Caltagirone should be if markets were efficient. It could be argued that a discount should be applied at the top level because Caltagirone doesn't have complete ownership of all of it's holdings, but I'm not sure a 50% discount is appropriate. The problem with a simple sum of the parts valuation is that it's hard to arbitrage this holding, and the Caltagirone family has such a large ownership stakes it's unlikely they will do something shareholder value enhancing like distribute shares. Another argument could be made that some of the parts are possibly overvalued and the holding level captures a true value for the entire company. I have not dug deep into each holding, and I plan to in the future, but I just want to mention a few stats from two of the holdings. EV/EBIT of 12.72 up from 4.82 a year ago. The difference is primarily due to completion of the Piastroni Metropolitana di Napoli and the work stopage on the Rome Metro C.
I'm still not sure what to make of this situation, this seems like a lot of values are out of line, but I haven't done enough research to figure out where the best value lies. I also want to further research why the company or pieces of it are trading at discounts to their equity portfolio values. If anyone has any information that could help me, or point me in a good direction to help me further understand this please leave a message for me in the comments. I have started digging through the list of net-net stocks I identified in the previous post. At first I was very excited because 246 stocks is a good amount to dig through, but once I started to dig I kept hitting a lot of crap. It seems some of the shares are closed end funds trading at a discount, others are small companies that are darn near impossible to get information on without calling and asking for an annual report. I finally found an interesting company, and it's worth a blog post. Hyrican Informationsystems is a computer reseller who's name translated into English is MESH information systems. Hyrican specializes in business PCs, CAD workstations, and a few laptop models. They sell Microsoft software as a reseller as well as an internet filter product and multimedia protector product. Unfortunately they don't break out sales per product, so we don't have much visibility into what drives their earnings. The company is very small, they currently have a market cap of €18m and have had decreasing sales since 2008. To combat the decreasing revenue they've improved internal efficiency so their profit hasn't experienced the same drop off, this has included a drastic employee reduction as well. This is the sort of net-net I like to find, a business that has some solid warts but is profitable and has great cash flow. The business appears to be managed conservatively holding more than it's market cap in cash. What's very difficult with evaluating Hyrican is the information flow is very very low. They released summary numbers for the 2010 fiscal year but not much more than revenue, EBIT and net income. For my valuation I'm going to use the 2010 interim report for the balance sheet figures, and income figures from the latest reports. From the 2009 annual report to the 2010 interim report inventories and receivables have stayed relatively stable while the cash balance has dropped about 10%. -Positive retained earnings, the company is consistently profitable. -The company made cuts to remain profitable even with the decline in sales. -€.22 per share dividend a year, a 4.8% yield currently. -The business has taken a strong hit from the recession and still hasn't recovered. -Business IT spending in Germany hasn't recovered as quickly as expected. -The company is a reseller for a few brands not a general IT supermarket, so they sell CAD workstations and standard PCs they don't offer any tablets or servers where growth in the IT market is. -A strengthening dollar will increase component costs and reduce profits. -Terribly illiquid, average volume is 150 share or €688 a day in volume, building up a position could be difficult. All of the above could be considered towards a liquidation value, but in Hyrican's case they're not a company winding down towards liquidation, they are profitable. 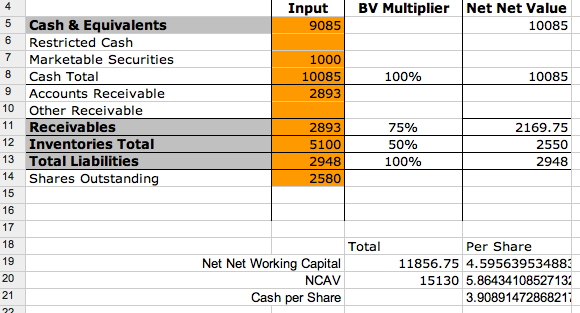 If we place a EV/EBIT multiple of 8 on the shares we get a value of €10.4m for the value of the business plus the €20m in cash for a €30.4 value or €7.6 per share. Even if we assume cash declined 10% YoY to €18m (4.5 per share) and we back that out of the share price the shares are trading at a P/E of .39 and still a negative EV/EBIT. This is not a great business but that's also the reason the price is depressed. The shares are unquestionably cheap, the question is at the current price is there enough of a margin of safety to invest. The way I like to consider a margin of safety is to think like a creditor. Would I loan Hyrican money if I had the ability? Based on what I've seen I probably would except I'd toss in a covenant against the dividends, but without any debt, and with a large cash cushion paying out most of their earnings as a dividend isn't too much of a worry. Disclosure: I don't currently hold a position, but I might try to initiate one over the next few days. While Screener.co is still free I ran a few screens to get a nice list of net-net stocks worldwide. I'm able to trade internationally through Fidelity so I ran a screen and got results for the following countries. I did a bit of spot checking and my guess is the list will shrink pretty drastically once I start digging in, there were a few companies in Belgium that had market caps of 300k or less. What I'm looking for is that rare diamond in the rough where the company is selling for less than NCAV and is profitable. Not many of these companies exist, but they are out there. A perfect example that I plan on writing up in the future is Titon Holdings (TON:LN) a solid business with 50% of market cap in cash and trading below NCAV. Disclosure: I own shares in Titon Holdings. 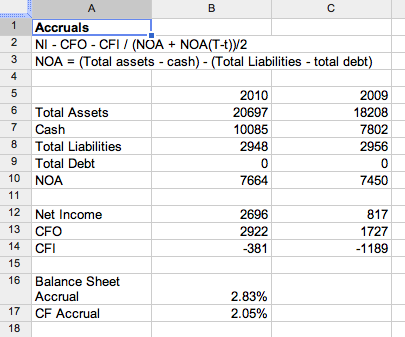 A few things turned me off from this issue, negative OCF, negative retained earnings. I didn't like that they're losing so much money, even though operating expenses have come down I don't see a light at the end of the tunnel, and they're trading at such a big premium to the NCAV there isn't much of a margin of safety. This seems like an interesting company worth revisiting in a few quarters. 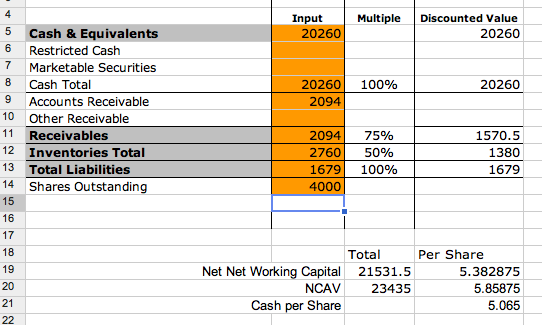 I passed on this one for a few reasons, most of the NCAV is in inventory of which the value is dubious, and secondly I didn't like the reliance on short term borrowing. This stock is a bit of a heartbreak for me, I compiled the research below when the stock was trading at $6.50 and felt it was a great buy with a nice margin of safety, and placed a buy order that never hit. About three days after I placed my buy order the stock zoomed up to $12 on larger than normal volume of around 10k shares a day. If Micropac falls lower I would be interested again, but for now the margin of safety has disappeared. Micropac is in the semiconductor business, they build chip assemblies used in military grade equipment. Micropac is one of a few companies who's products are space qualified which puts them in a niche of higher end semiconductor components. The business is located in Texas and owned by a large German majority shareholder. While the semiconductor business is a commodity business the valuation of Micropac is compelling enough to consider buying the stock. -The company has $10m of their market cap in cash. -The company has steady cash flows, and low growth as seen by the below breakdown of revenues and income for the past five years. -The gross margin appears to be on the high end of the range, I wouldn't be surprised to see that margin compressed in future quarters. -The company has positive OCF and FCF even through the 2008-2009 recession. -The majority owner (75%) is on the BOD and does not seem to be agitating for too much change. I'm unsure of what his position with the company is. -There is a very small float, around 600k shares out of the 2.5m outstanding. -Extremely illiquid, the average trading volume is a few hundred shares. It only traded four times in January. As an example two trading days of 10k shares pushed the price from $6.75 to $12. 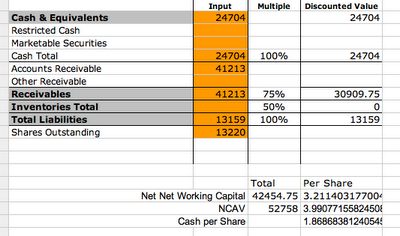 -Management is paid around $230k apiece with no equity portion. There is no equity incentive plan, and equity ownership by management is very low. -Very low visibility into the business, just the standard quarterly filings and nothing else. Portions of the website look like they were last updated in 2007. -12% cash flow yield at the current price. -Here is the worksheet for the accruals ratio, which I should note is very low which is good.